A number of Billy Casper Golf courses are a part of rare company -- so rare, in fact, that only 911 courses on the planet belong to the club. Eastpointe Country Club, among others, is a course certified by Audubon International as a Cooperative Sanctuary, and it just earned a two-year extension of that certification. Read about what Eastpointe does to protect the environment and minimize stress on its land in this week's edition of Global Golf Post. 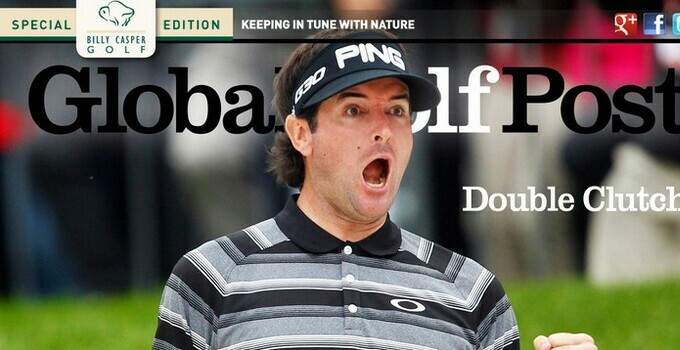 Also in the Post, the GGP gang has full coverage of Bubba Watson's dramatic win at the WGC-HSBC Champions, including how he pulled off the playoff-inducing bunker hole-out. Lewine Mair also looks at the long list of suitors who want to become Adam Scott's next full-time caddie. Read about these stories and more in this week's issue!